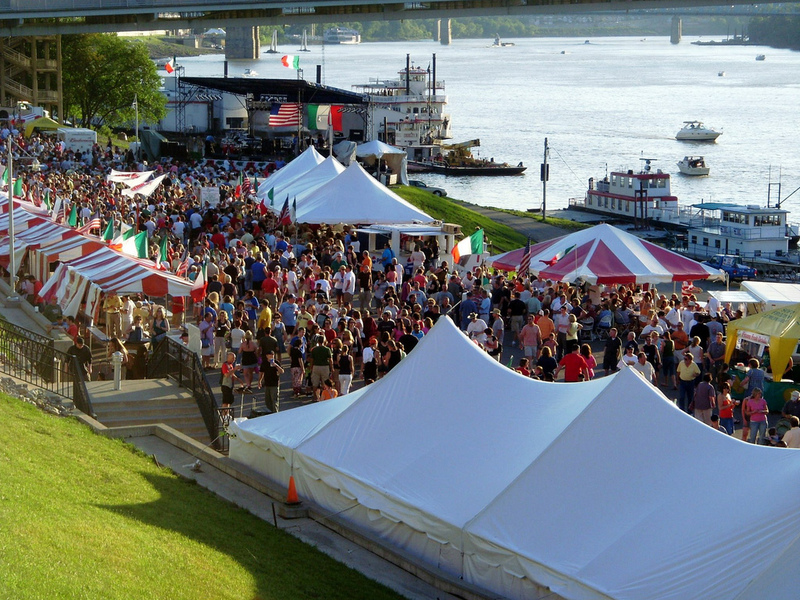 The 19th Annual Newport Italianfest kicks off on Riverboat Row between the Taylor-Southgate Bridge and Purple People Bridge this coming Thursday afternoon at 5pm and runs all weekend long. This festival features great food from some great local Italian places like Pompilios who is celebrating their 75th year in business. Plenty of other authentic Italian food options will also be available for everyone to enjoy. Additionally, there are plenty of activities to enjoy at Italianfest. One of the more interesting things from visits I have made in past years is the Family Photo Booth which honors the many Italian families that settled in Newport generations ago. There are also plenty of games and rides, including harbor cruises on the Ohio River both Friday and Saturday evenings. Each night, except Sunday, will close with fireworks either put on by Italianfest or, as is the case on Friday night, the Cincinnati Reds for their summer series of Friday night fireworks games. Last year, over 90,000 visitors made their way to Italianfest and this year should be quite busy as well. Adding to the hustle and bustle of this weekend’s activities will be the Cincinnati Reds as they take on the St. Louis Cardinals in a battle for 1st Place in the NL Central, Roeblingfest will take place on Saturday in Covington, and the 4th Annual Ride Cincinnati event will take place at Yeatman’s Cove on Saturday morning. All of the events are located on the banks of the Ohio River and are within easy walking distance of one another. Italianfest (map) will run from 5pm to 11pm on Thursday, 5pm to 11pm on Friday, 11am to 11pm on Saturday, and 12pm to 9pm on Sunday, June 13. The festival is free and open to the public.